Each year, we dig through hundreds of thousands of employee responses to uncover the trends that are driving employee engagement and what could be pushing your workforce out the door. 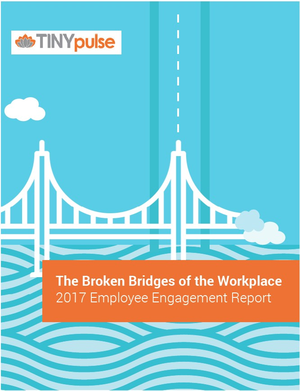 In our 4th annual Employee Engagement Report, we've discovered the broken bridges of the workplace — a disjointed world of managers and peers. Fill out the form to learn what factors you really need to focus on in your workplace.